Like Spider-Man: Homecoming, this animated feature doesn’t get bogged down in romance. This time it looks like the animators were the ones under the influence of Mary Jane. Mixed with Jameson. Their output is a psychedelic, energetic 3D comic book underpinned by the ethos: with great power comes great intertextuality. Lego Batman producers Phil Lord and Chris Miller spin another irresistibly post-modern web, taking swings at the infamous emo dance from Spider-Man 3 and the uniformity of the movies’ previous characterisations. 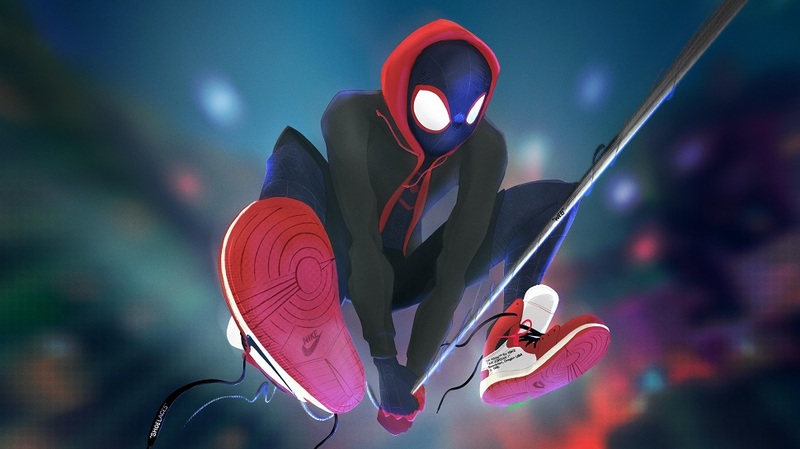 It features multiple parallel-universe versions of Spider-Man in different shapes and sizes, putting the diverse in Spider-Verse. This is a fresh take on the Webslinger, one that radiates heart, humour and creativity. Its colourful array of characters and dazzling action sequences suggest a bright future for victims of spider bites, and Lily Tomlin voices a badass Aunt May. An all-round feast for the Spidey senses.